A vegetation fire on regional parkland at Karekare this week has highlighted just how dry parts of our region are right now and is a reminder to take extreme care with fire risk. 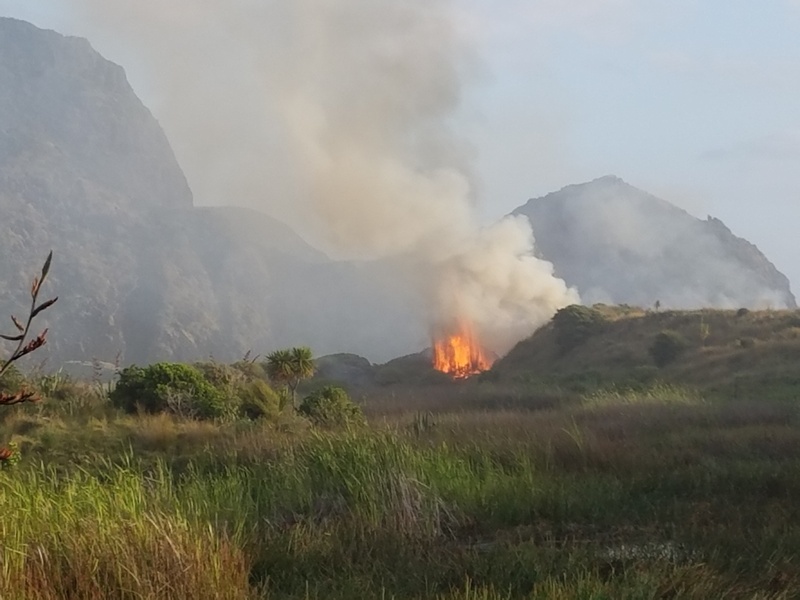 Fire and Emergency New Zealand responded to a large scrub fire at remote Karekare Beach on Wednesday evening. Principal Rural Fire Officer Thomas Harre says plumes of smoke were seen spreading across the Waitakere Ranges and access to the affected area was difficult. 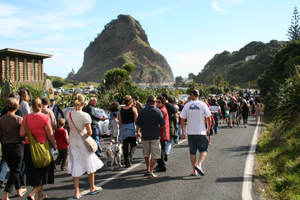 “Fire crews from Waiatarua, Karekare and Piha attended the fire with vital support from Surf Life Saving Northern Region and the local clubs, and Auckland Council’s regional park’s team. “Crews worked late into the night to extinguish the fire. The fire has been treated as suspicious,” he says. Mr Harre says this is a timely reminder of the increased risk of fire danger as the weather heats up. “The heavy rainfall we experienced across Auckland in December 2018 has resulted in significant vegetation growth across the region. When this growth starts to dry out, there is an increased risk of fires. “The conditions are set to become drier and warmer in the coming month, so please make sure you check it’s alright before you light at checkitsalright.nz and comply with your fire permit conditions,” he says. Regional parks manager Rachel Kelleher echoes Fire and Emergency New Zealand’s comments. “Remote locations are difficult to access in an emergency and this response shows how our agencies acted quickly and worked well together. “Unfortunately it also highlights that the summertime fire risk can be even harder to manage when access is restricted. “Remember that no open fires and solid fuel BBQs are allowed on regional park land,” says Ms Kelleher.